What if you were told that the Universe we know just makes up a fraction of the full universe? 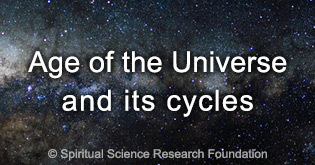 In reality, the Universe is much vaster than the Universe known to modern science.This is because SSRF defines the Universe as the entire seen and unseen world. This means it includes the Earth along with the solar system and all the constellations and the galaxies that we see in the sky. But this too is just a fraction of the Universe. Along with this, it also includes the seven negative subtle-planes of existence and the six positive subtle planes of existence. Beyond all this are the Supreme God and God. While the Universe goes through continuous change, the Supreme God is eternal and does not change. God comes from the Supreme God and manifests in the Universe through different principles, called deities to carry out the countless tasks in the Universe. So though God is one, He manifests in various ways to perform the various individual functions in the Universe. In order to perform the various functions in the Universe, God manifests as five primary principles.They are Creation, Sustenance, Dissolution, Multiplicity and Bliss. These five primary principles combine with each other in myriad ways to give millions of unique aspects of God to perform various functions in the Universe. 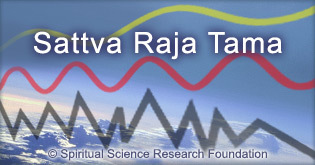 Modern science has discovered atoms, protons, electrons and more, but unknown to modern science Sattva, Raja and Tama are the very fabric of creation. Sattva, Raja and Tama combine to make the 5 Absolute Cosmic Principles, which are present in all things in the seen and unseen Universe. Though God is one, He manifests in various ways through different principles to perform the various individual functions in the Universe. Each of these principles is a deity. 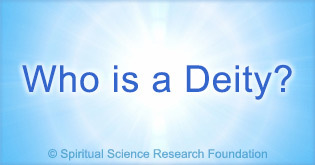 Among the deities, there are some superior deities, for example the deities of creation, sustenance and dissolution, and these are the deities who are worthy of worship. Scientists have used various techniques to estimate the age of the Universe. According to Spiritual science, the Universe is created, sustained for a specific period and then undergoes dissolution. This cyclical process continues indefinitely. The nuclear bomb is considered the most powerful weapon in the world, but did you know that there are subtler levels of power that have much more impact than physical power like that from a nuclear bomb? There is a hierarchy of power in the universe ranging from gross power to subtler levels of power. The more subtle the power, the more impact it has. Most of us have many thoughts in our mind and these thoughts drain the power of the mind. 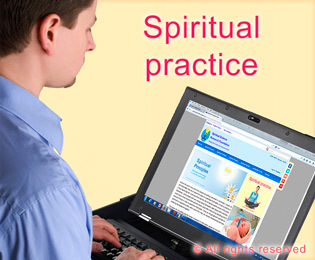 These thoughts reduce with spiritual practice and at a high spiritual level our thoughts can influence the Universe. A mere thought in a spiritually evolved person's mind can orchestrate events on Earth and in the Universe. We have subtle bodies in addition to the physical body we know. Depending on our spiritual practice, we identify with some of these bodies after death. 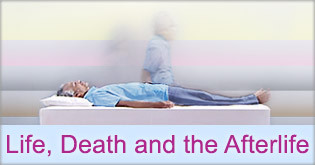 Life After Death – What Happens After we Die? Why are we born? Is there an afterlife? Answers to these questions help us to understand the spiritual purpose of life, and by understanding the spiritual purpose of life we are able to understand the importance of spiritual practice. Modern science has its understanding of the Universe but the findings as per Spiritual science differ. According to Spiritual science, the Universe is created, sustained and destroyed. Though God is one, He manifests in various ways through different principles to perform the various individual functions in the Universe. Each of these principles is a deity. Answers to some of life's intriguing questions like where do we go after death, are we reborn and more. 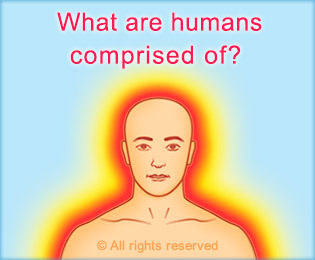 Learn the spiritual science behind real phenomena like crop circles, bodies of water turning red, and Divine particles. 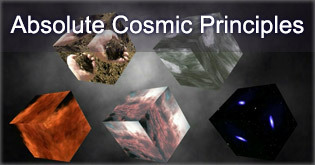 The 5 Absolute Cosmic Principles, how they make up the Universe and affect all processes at a gross and subtle level. large part of our lives. 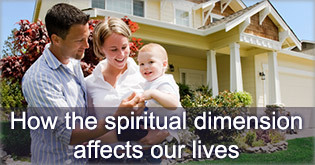 Understand more about the spiritual dimension and how you are affected by it. Some of our readers told us that the sound made by some distant stars called pulsars sound similar to Divine sounds recorded in the SSRF research centre. Take a subtle reading and see how you feel listening to each type of sound. God is created from a fraction of Supreme God, and the Universe is created from a fraction of God. 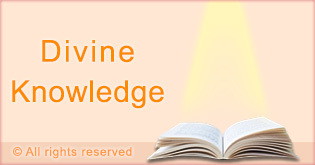 Through spiritual practice, it becomes possible to realise the omnipresent God!